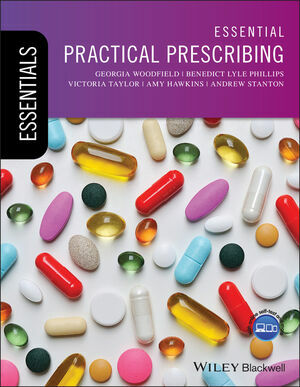 Essential Practical Prescribing is an important new textbook with a clinical, ward-based focus. It is specifically designed to help new foundation doctors working on the hospital wards and in the community, as well as medical students preparing for the Prescribing Safety Assessment. Using an accessible format, Essential Practical Prescribing demonstrates how to manage common medical conditions, and explains the logic behind each decision. It also emphasises common pitfalls leading to drug errors, and highlights drugs that could cause harm in certain situations. Organised by hospital department, it outlines the correct management of conditions, as well as highlighting the typical trials of a junior doctor.